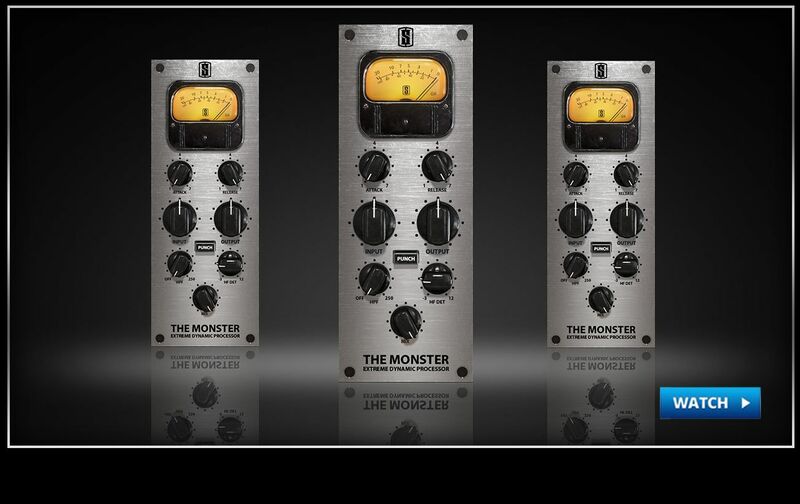 The Monster emulates the classic “all-buttons-in” extreme compression sound of the famous vintage FET limiter hardware. The “all-buttons-in” effect can be pretty extreme, so we added some cool new features that make this processor more versatile, more creative, and more useful. And best of all, the Monster is completely FREE! 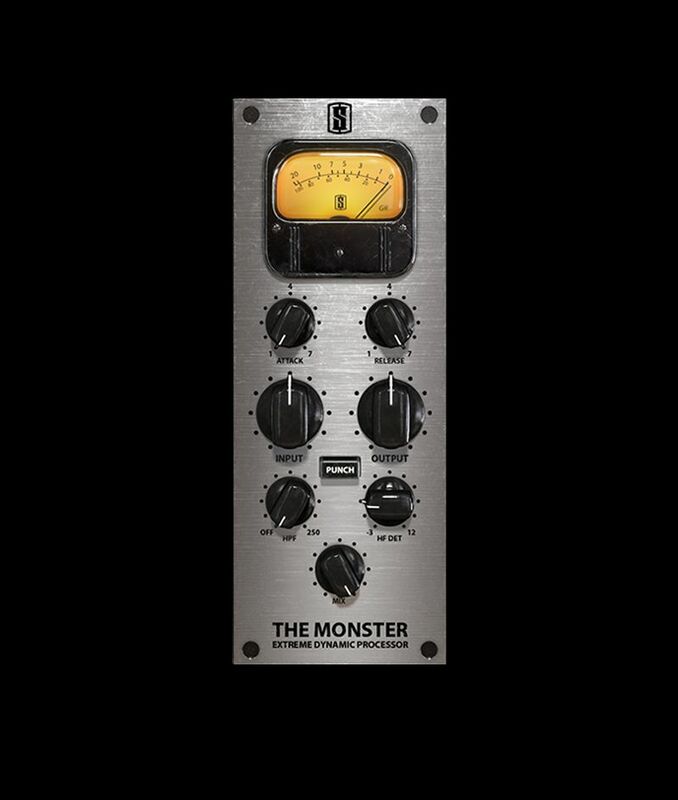 The Monster has been called “the best software compressor ever” by more than one top engineer, and for good reason: it is capable of amazingly cool compression tones! 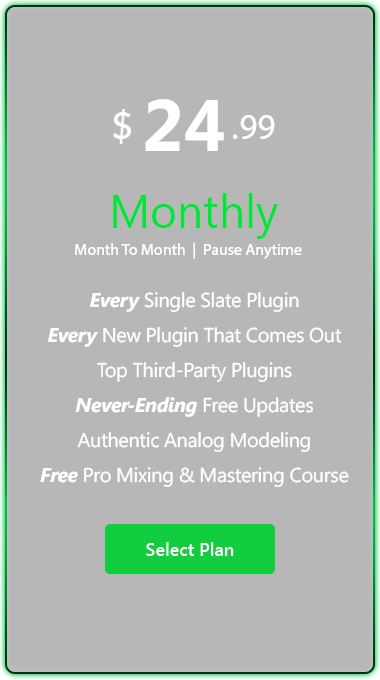 You can slam a drum buss and get some seriously “monstrous” drum tones, or use the added mix knobs and fatten up a vocal and push it to the front of the mix. High Frequency Detection increases the amount of top end that appears in the sidechain detection circuit, allowing the compression to react more dramatically to those high frequencies and making the top end smoother. 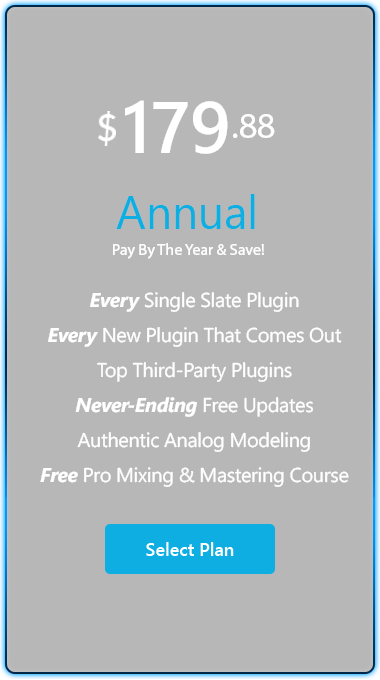 This allows you to compress instruments like drums without making the cymbals sound harsh. The Hi Pass Filter makes the compressor ignore bass information below a set frequency, which can add girth and punch to the bottom end of your tracks and limit audible pumping. 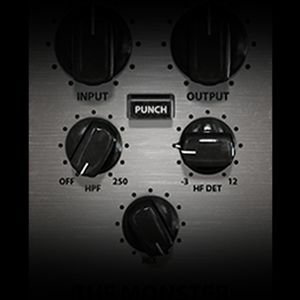 Punch is a unique circuit that brings back some of the transient so that you can add a bit of punch to your insanely squashed tones. 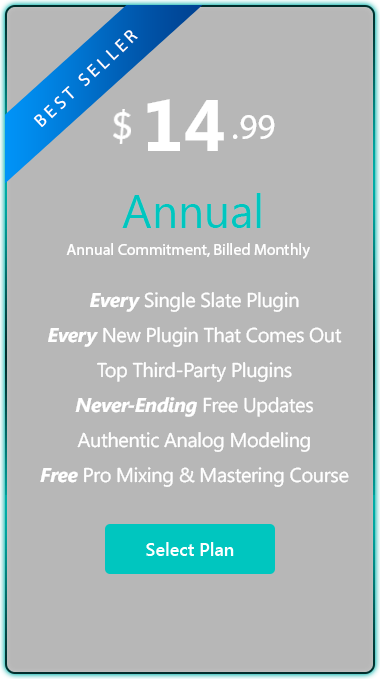 The Mix control allows you to dial in extreme compression values while keeping things in check by controlling the dry mix. It’s a perfect-drum-buss-in-a-knob kind of thing.